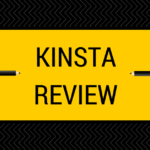 Kinsta Review – Best Managed WordPress Hosting? Kinsta is a managed WordPress hosting company and I heard good reviews about them. I recently made the switch from Bluehost to Kinsta, so here's a Kinsta review for you guys.Disclaimer: There may be affiliate links in this article. But wait, what's a managed WordPress hosting and do you need it? 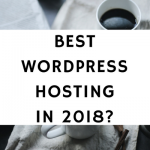 If you're just starting out as a new blogger, you may not need a … [Read more...] about Kinsta Review – Best Managed WordPress Hosting? Why Should You Move To A Self-Hosted WordPress Blog? The question of whether you should move to a self-hosted WordPress blog or remain in a free blogging platform is a really common one.Even more so if you're thinking of monetizing your blog. 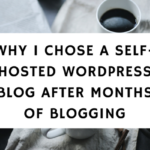 You've probably heard of other bloggers recommending that you need to go self-hosted in order to make money.That's both true and false. Before we get to it, here's what a self-hosted … [Read more...] about Why Should You Move To A Self-Hosted WordPress Blog?